This server has received 2229254 hits from both ipv4 and ipv6. The UK CiviCRM user group meeting took place last night in London. We were there, and this is our report. 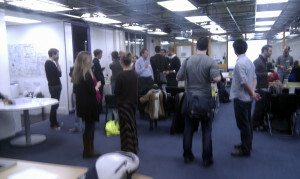 The meetup was hosted at techhub, in London’s “Silicon Roundabout”, Old Street. Our host for the evening was Michael McAndrew of Third Sector Design, a company specialising in CiviCRM based in techhub. Meet-ups are free and a great way to get to learn more about CiviCRM and are suitable for those that are new to CiviCRM as well as people that have been using it for years. There were two presentations, a mingle session and a case study report from a charity that’s successfully implemented CiviCRM. The keywords for 2012 are: mobile, scalable, community. A code sprint (?) scheduled for later this month in London will be focusing on CiviMobile. CiviCRM for mobile devices includes iPhone, Android, iPad, Blackberry and more. This version will include the ability to view/search contacts and see most of the details of each contact. It will also allow users to create/edit contacts, and handle event attendee check-in. Several core developers will be in town and any developers are welcome to join. CiviCon is taking place in San Fransisco on 2nd April. CiviCon is THE annual event bringing together the people who use, develop, design and implement CiviCRM. Good news for us in the UK though, a CiviCon Europe is planned for Autumn, although dates and location have not yet been finalised. 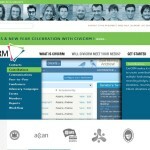 Beta release for WordPress – along with Drupal and Joomla, CiviCRM will now work within WordPress. WordPress has emerged from it’s blogging roots to become one of the most widely used content managment systems in use today, powering an amazing 14% of the web. Social plugins (Facebook, Twitter etc). Better cron (simple for admins to setup). 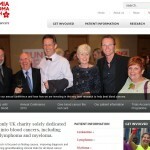 Personalisation of campaign pages for events (think JustGiving). A couple of UK specific projects were mentioned, with a call for some help from developers or sponsors to get them completed. These are Direct Debit integration and Gift Aid. The Direct Debit integration is a “make it happen” project, which basically is a call for funding, and the Gift Aid module needs a bit of development help to fix some not too tricky bugs. Dave Moreton, from Bristol based Circle Interactive, talked to the group about improving the marketing of CiviCRM. It’s apparent that next to the giant forces of SalesForce, Microsoft Dynamics etc, CiviCRM has a much lower profile. It’s also true that it’s a very different product. That said, the non-profit, membership, civic sector are often unaware of the existence of CiviCRM and end up using a commercial-focused CRM system that is less than ideal. David’s talk was about efforts within the CiviCRM community to increase awareness, talk up it’s successes and provide comparisons and marketing material for system integrators to use. He finished by showing us a sneak peak at the new CiviCRM website, which of course aims to solve these issues. Finally we heard from Leukaemia & Lymphoma Research (LLR). Parvez Saleh from Veda Consulting, talked us through the tasks that were needed for migrate in just 2 hours a complete legacy system to CiviCRM. LLR went from a system that was used by just a few users which specialist knowledge (and lots and lots of spreadsheets), to a website-integrated CiviCRM system that can be accessed by 80+ users, speeds up the financial reporting functions and will save the charity tens of thousands over the next few years, as well as enabling increased fundraising. Now one of the largest CiviCRM installations in the UK, the system serves the needs of 350,000 contacts, 90,000+ participants and over 1.2 million contributions a year. LLR are now holding a “spreadsheet amnesty” to move all data onto the system. The event was attended by around 50 people. Most were new to CiviCRM but we also met with system integrators, developers, current users and administrators. The user group meeting showed that there is an established infrastructure of support for CiviCRM here the UK, and organisations considering it for themselves can be confident they will get the support they need. 2020Media provides complete hosting packages for CiviCRM, and our support is based around our hosting expertise. Therefore we can deal with the kind of problems you might have if you get a error on a page, emails not being sent, uploading images and so on. We can also help users get to grips with the basics of using Civi. We also have a network of developers and consultants so get in touch if you want to know more. What Happens at a CiviCRM Meetup?